Here are just a few of the improvements we’ve recently made. Having multiple meetings one by one can be sometimes very exhausting - mainly when the planned meeting runs longer than planned. 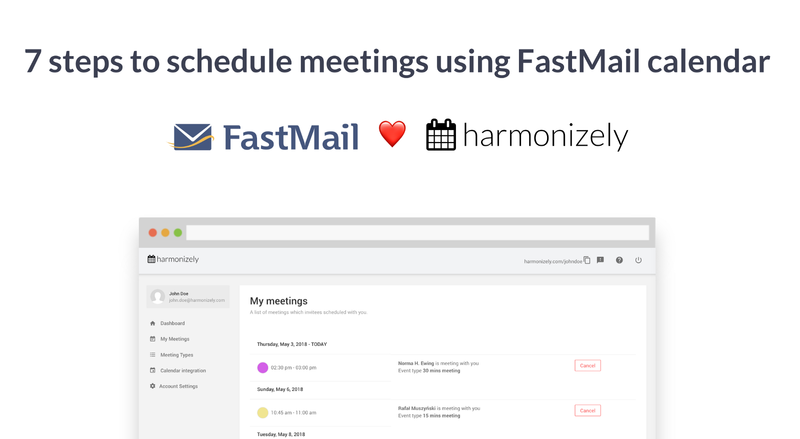 To make it easier, you can now set exactly how long free time you’d like to have before or after the meeting. Give you a time to commute. Write notes after the meeting has ended. Get some rest before or after the meeting. Learn more on our Knowledge Base. To increase the number of leads you can embed your Harmonizely scheduling page on your own website. Invitee would see your availability as a part of your website from which it is possible to schedule a meeting with you. You only have to copy the embed code and paste it into your website's HTML.